homeopathic and have been around since 1903! Hyland's products are made with all natural ingredients, free of artificial colors and flavors and free of stimulant side effects. Gavin our youngest age 3 recently became sick with a common cold. 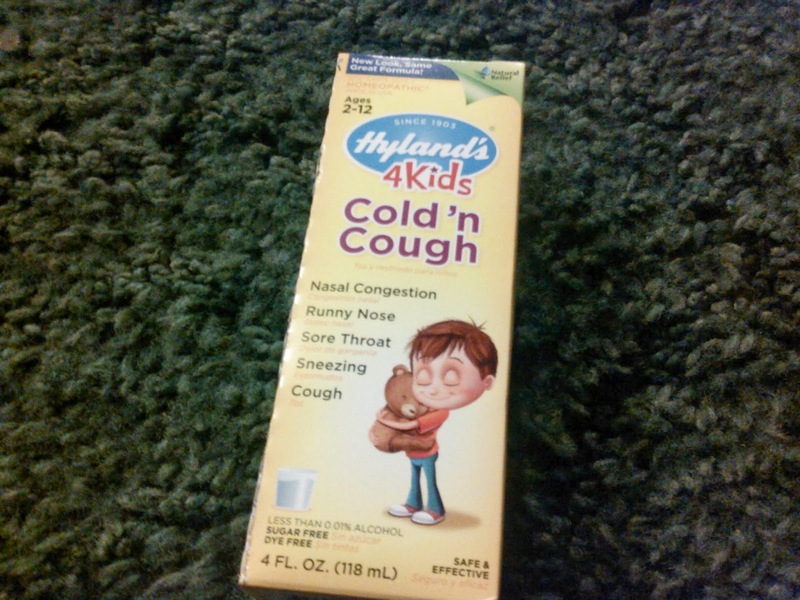 This gave me the chance to try out the Hyland's 4 Kids Cold N'N Cough! Gavin had no trouble taking the Cold 'N Cough and said it tasted sweet; I actually tried a taste on my tongue too. It actually didn't taste bad at all as in a lot of homeopathic products honey is used and along with honeys healing properties it also gives medicine a great taste. Within one day of use Gavin's symptoms became more manageable and within 2 days of use he was on the mend. I by no means am saying don't take your child to the doctor or never use antibiotics but if you can get around it always try all natural products first before resorting to anything else. Antibiotics loose effectiveness after you take them so many times your body builds a resistance to them and so any time you can get by without taking them it is best. Hyland's has an adult, baby and children's line! Check out all of Hyland's products here http://www.hylands.com/. Make sure you follow Hyland's on facebook and twitter to keep up to date with all of their newest products, promotions, contests and giveaways! I so much prefer to use natural products if I can. I have used some other Hylands products with my daughter and I really liked the results. And having medicine that tastes good is a real plus! This is a very good product to use for a child's cough because it is all natural and does not have all the chemicals and awful taste with it. My sister uses this brand and loves it.